There are different methods of natural childbirth out there including the Lamaze method, the Bradley method, hypobirthing, and others. Some women don’t use a particular method at all when approaching natural childbirth. 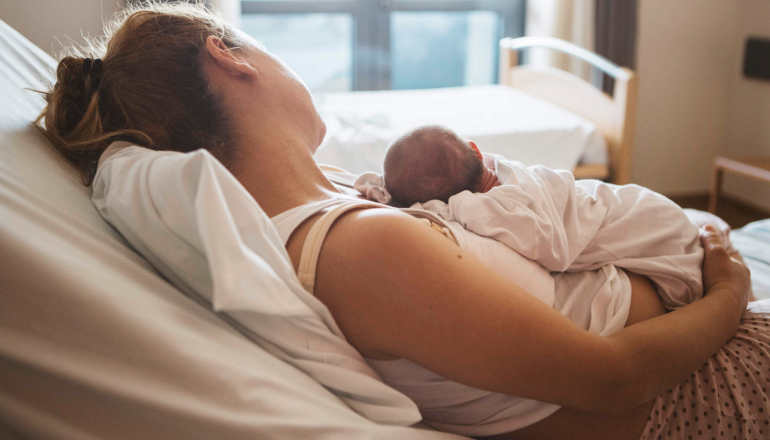 The methods, philosophies, and reasons for choosing natural childbirth vary. For some the primary reasons for choosing a medication and intervention free childbirth are simple. They don’t want themselves or their babies to receive any unnecessary or potentially dangerous medications. For others, it’s more than that. The birth process is something that women’s bodies were designed for. Having it turned into a medical procedure can take away from that experience. The benefits, regardless of the rationales for why a woman chooses natural childbirth, are numerous. • Baby may be less groggy and more alert after birth. • Baby may have an easier time latching on and breastfeeding. • Baby will not have narcotics or other medications in his system. • Baby will have a lower risk of fetal distress during delivery. • Baby’s APGAR scores may be higher. • Mom can walk around, soak in the tub, go to the bathroom, and change positions during labor. • Pain can be beneficial to mom as it helps her to know what stage of labor she is in, when she may need to shift positions, and when it is time to push. • Mom does not lose sensation in her lower body and should not need a catheter. • Mom will not have to worry about having a post-epidural headache. • Mom can get up and walk around shortly after birth. • There may be less chance of having nausea, vomiting, dizziness or other side effects associated with pain medications. • Mother will be less groggy after birth. • Although there is some debate on this, having a natural childbirth may reduce the chance of needing a csection. • Mom may have a more positive birth experience or feel empowered by having natural childbirth. Some women compare natural childbirth with running a marathon. The sense of accomplishment can be a rewarding event.